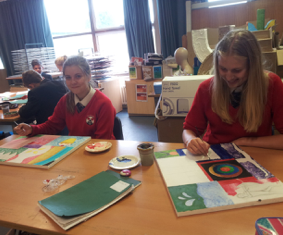 Pupils develop their Memory Bottles / boxes into paintings by working in the Pop Art style. 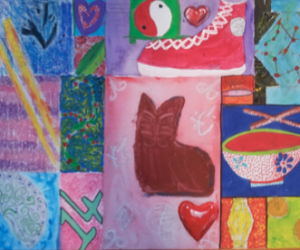 They explore compositions and refine their work through experimenting with a wide variety of media and techniques. 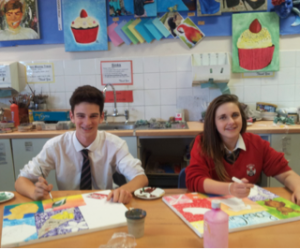 Able, Gifted and Talented pupils often opt to work on canvas using acrylics and usually their work progresses in a manner expected of GCSE pupils.